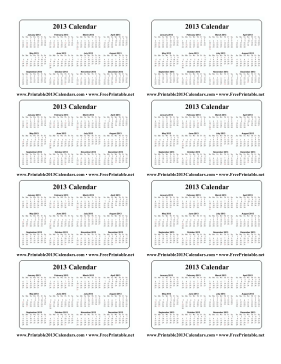 The entire year of 2013 is reproduced on this sheet of eight wallet-sized calendars. They are about the size of a credit card and can be easily printed on paper or cardstock and then cut apart. Free to download and print.